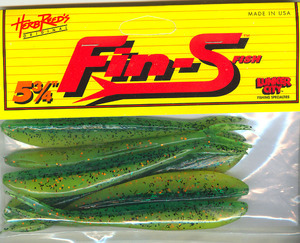 If any artificial lure can mimic a baitfish better than the original Slug-Go®, it's got to be the Fin-S Fish®, with its thinner, deeper-bodied profile and forked tail. 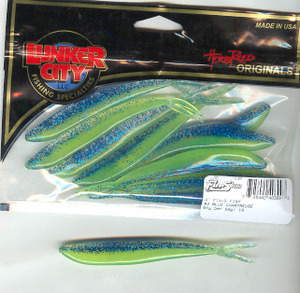 The Fin-S Fish® has been part of the Lunker City line up since the mid-eighties. 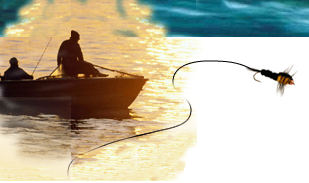 The 4" is a favorite of bass, walleye,and stripers.